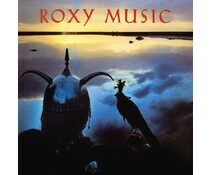 Roxy Music were a British art rock group formed in 1971 by Bryan Ferry, who became the group's lead vocalist and chief songwriter. 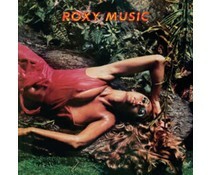 Rolling Stone magazine ranked Roxy Music No. 98 on its "The Immortals – 100 The Greatest Artists of All Time" list. Their music was influenced by other British artists, such as The Beatles, The Rolling Stones, The Kinks, The Who, The Pretty Things, Pink Floyd, The Creation, The Move, Traffic, David Bowie, King Crimson, and Elton John, as well as American artists like Little Richard, Elvis Presley and The Velvet Underground. 2017 EU reissue on standard LP-1975's Siren has a thematic consistency that works in its favor-including "Love Is The Drug",- "Sentimental Fool," "Both Ends Burning," "Just Another High",the album itself into the realm of classics. 2017 EU reissue on standard LP-1980's Flesh+Blood is an excellent record. Two killer covers, In the Midnight Hour and the Who's Eight Miles High, along with excellent cuts, Oh Yeah, and Over you. 2017 EU reissue on standard LP-their 1979 album Manifesto featured an eye catching album cover of mannequins conceptualized by Ferry and long time designer and Roxy Music collaborator Antony Price.including "Dance Away" and "Angel Eyes."